The number - and details - aren’t being tracked by any agency, but the Times did the math: 42 people have died in the last decade. Zarah Jackson suffered a head injury after being tackled by deputies on Jan. 5, 2017. His condition deteriorated after he was brought back to a Hillsborough jail from Tampa General. TAMPA— She rushed into Tampa General Hospital looking for her brother. At the visitor’s desk, staff insisted that no one named Zarah Jackson was being treated that day. So Cheryl Leonard found another desk, and another employee, and made another phone call, refusing to leave until someone, anyone, would help her. It had been months since she had heard from Jackson. Leonard used to take solace in those periods of silence. It meant her brother was in jail and off the streets. He was safe. But now, she knew better. A night earlier, a hospital chaplain had called another brother. Jackson had been comatose for nine days, ever since he arrived from the Falkenburg Road Jail. Leonard began to work her way through the ICU, until she opened the door to Room 5436-K. There, two deputies stood watch over her unconscious brother, his wrists and ankles shackled to the bed. Jackson died 10 days later, on Feb. 3, 2017. He was 62. 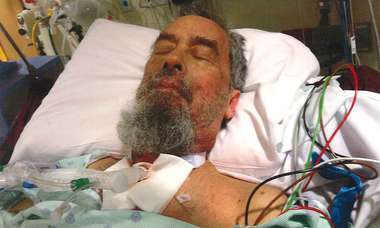 By then, his family had taken him off life support. Nineteen days had passed since deputies found him in his cell, surrounded by a pool of blood. He never regained consciousness. His family is still waiting for an explanation from the Hillsborough County Sheriff’s Office. It’s hard to pinpoint how many inmates have died in the custody of Hillsborough County or, like Zarah Jackson, after an incident at one of its two jails. Most deaths are never reported: not to the public, not to county or state officials and not to the federal agency obligated to keep records of all in-custody deaths. In some cases, inmates’ families find out from hospitals or the medical examiner. The Sheriff’s Office says a federal privacy law prohibits officers from releasing information about a medical condition to anyone outside of an inmate’s “estate,” which only includes parents, a spouse and any children 15 and under. The agency’s longtime spokesman Larry McKinnon, who recently changed duties, told the Tampa Bay Times in February that six inmates had died in custody over the past three years. But the Times found 13 deaths since 2016 listed in the department’s own records and another six during the same time frame by searching autopsies at the Medical Examiner’s Office. At least 42 people have died in Hillsborough jails over the last decade, according to a Times review of thousands of pages of public records. Even those totals could be incomplete, said Robert Salmon, the medical examiner’s director of operations. Salmon’s office has jurisdiction only over suspicious, sudden or unexpected deaths that could be the result of a crime. Just last year, it declined to investigate the deaths of Ronald Burden, 56, and Pedro Fernando Munoz-Machin, 60, inmates at Falkenburg Road Jail who were taken to the ER at Tampa General. 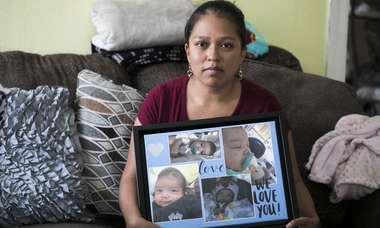 Munoz-Machin was in a coma by the time he arrived, and an infection in Burden’s abdomen had begun to cause brain damage. The Sheriff’s Office kept no documentation of either death, because the men were released from custody once they were given poor prognoses at the hospital. Neither family has received an email, letter or phone call from the Sheriff’s Office explaining what happened, they said. The Times spoke with friends and relatives of 10 inmates who died while in the custody of Falkenburg and Orient Road jails from Feb. 20, 2015, to May 13, 2018. All shared stories of indifference from detention employees, mishandled death notifications and lingering questions about what happened. If an inmate dies as the result of a “serious and unusual incident,” the Sheriff’s Office conducts an internal investigation, according to its procedures. If the findings could result in legal action, the report is sent to the State Attorney’s Office for review. Not one of the 42 in-custody deaths identified by the Times resulted in criminal charges or disciplinary action. That includes three deaths — Jackson’s among them — that were ruled homicides. Zarah Jackson's death was investigated by the State Attorney's Office and the Sheriff's Office. The use of force was deemed justified. Officials from the Sheriff’s Office said they couldn’t have called Zarah Jackson’s family the night he was taken to Tampa General even if they wanted to. When he was last arrested, on July 19, 2016, Jackson refused to provide information on his next of kin. The emergency contact in his file was for his 93-year-old mother, Bernice Jackson, who died from cancer two months after his arrest. But it wouldn’t have been hard to find another relative. Zarah Jackson had been locked up in Hillsborough 34 times. His criminal history includes arrests for cocaine distribution, burglary, resisting arrest, assaulting officers and using a toy gun to steal beer. The Sheriff’s Office maintains hundreds of pages of records detailing those arrests, many of which contain names, addresses or phone numbers for Jackson’s 13 brothers and sisters. He never married and had no children, but he had 109 nieces and nephews. And one brother — Gregory Jackson — has been a Sheriff’s Office employee since 1998. He has spent about five years as a chaplain at the Orient Road Jail. Zarah Jackson was just a boy when he started having seizures that would send him to the hospital every six to eight months, said his brother Larrie Jackson. By the age of 12, Zarah had been diagnosed with bipolar disorder, and by 19, with schizophrenia. “He was always, I mean I don’t know how else to say it, different,” Larrie Jackson said. Bernice Jackson was sensitive to the clouds in her son’s mind long before doctors understood what was wrong, her children say. But she struggled as a single parent, after leaving a failed marriage in Ocala and moving to Tampa. Sometimes, she couldn’t afford his psychiatric medications. In the 10th grade, he turned to crack cocaine. It was a slow decline, and a roller coaster for the family, said Valarie Schlosser, the youngest of Jackson’s siblings. She tries to remember the high points. Once, when she was about 16, Jackson surprised her by picking her up from school in his black, 1965 Ford Mustang with red leather seats. He bought her Jordache jeans and made her laugh with impersonations of Jimi Hendrix and Earth, Wind and Fire. His first arrest came in 1975 for possession of marijuana. He was 21. He stopped showing up in church on Sundays and blew off his family’s monthly prayer circles. Cocaine made him impulsive and unpredictable, and treatment for his mental illnesses became sporadic. One by one, he pushed his siblings away, until eventually his mother felt forced to take out a restraining order against him. But the pattern repeated itself, again and again. 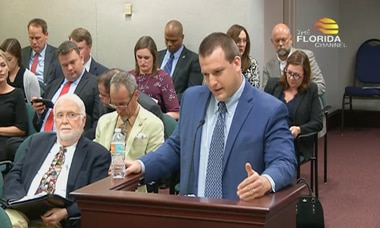 The Standard Operating Procedures for Hillsborough County’s jails instruct staff to contact an inmate’s family if that person makes any “serious” attempts at suicide or suffers any “serious” injury. Most of Jackson’s siblings said they never knew that he spent much of his time while incarcerated on suicide watch or that he once swallowed two screws. Zarah Jackson's suicidal thoughts were well-documented by medical staff at the jail. By then, Jackson rarely accepted medication to control his epilepsy, diabetes and bipolar disorder, and had stopped taking prescriptions for schizophrenia and anti-depressants. On July 26, 2016, a nurse from Naphcare, the private company responsible for treating inmates, wrote that his reported “lock jaw” and slurred speech were the result of withdrawal from his medications: Abilify, Geodon, Cogentin and Seroquel. By January 2017, he had racked up 16 disciplinary hearings, mainly for yelling at deputies, fighting with other inmates or stealing food. He would be held in solitary confinement for 30 days at a time, records show, away from Naphcare nurses. When he was in a general population cell, Jackson would calm himself by making posters of Bible verses he remembered from childhood, surrounded by intricate drawings of suns, moons and stars. But in solitary, as in the psychiatric ward, no markers were allowed. It was a vicious cycle. The longer Jackson’s mental illnesses went untreated, the more paranoid and aggressive he would become. At times, deputies responded with physical force. During an arrest in 2005, a deputy tased and tackled Jackson when he refused to show his hands, causing him to hit the left side of his head on the ground. On Feb. 9, 2016, Jackson had his first clash with Deputy Andre McKanstry. McKanstry was handing out uniforms during the jail’s bi-weekly laundry exchange when Jackson asked for different pants, claiming the pair he was issued were blood-stained. McKanstry told Jackson he would “handle it later” and ordered him back to his bunk, sending Jackson into a rage, reports said. He threw a punch at the deputy. McKanstry said he then “defended himself with fist strikes to Jackson’s facial area,” before grabbing Jackson’s right arm and forcing him to the floor, face-first, and pinning him with his knee until backup arrived. Sheriff’s Office investigators ruled McKanstry’s actions justified, and Jackson was put in solitary for starting the fight. A year later, on Jan. 5, 2017, it happened again. Jackson stormed up to the deputy’s desk, complaining that his uniform was too small. He flailed his arms while shouting profanities and threats at McKanstry. Deputy Darryl Page and Cpl. James Smith arrived as Jackson began to walk around the desk, prompting Page and McKanstry to run at him and grab his arms. The men tackled Jackson, smashing his face into the concrete floor as they fell onto his back. Deputies in the room said the “clunk” of the impact echoed off the walls. Jackson remained conscious but rated the pain in his head a “10 out of 10.” Nurses moved him to the clinic, but the next day, jail staff ordered Jackson to appear for another disciplinary hearing, where he was sentenced to another 30 days in confinement. Nearly two hours later, Jackson was taken to Tampa General, where doctors discovered a large subdural hematoma — a pool of blood — on the left side of his brain and rated his condition “poor,” according to hospital records. But he was discharged three days later, after his condition had improved to “fair.” Doctors ordered Naphcare staff to move Jackson to the infirmary, where he could be monitored 24 hours a day. Jackson and the jail’s medical staff were told that he should stop taking blood-thinning and anti-inflammatory medications immediately, to prevent bleeding in his skull. But that day, Jackson returned to solitary confinement. Naphcare staff state in their own reports that he received 10 doses of blood-thinning medications over the next four days. It’s unclear why they didn’t follow the doctor’s instructions. A company spokesman said he wouldn’t go into specifics about a patient’s case. Jackson was lethargic and continued to complain of headaches. On Jan. 17, deputies found him comatose in his cell, and he was rushed back to Tampa General. The Sheriff’s Office said there is no security footage showing what happened in Jackson’s cell the day he fell into a coma. His autopsy revealed a second hematoma, which due to his failing health could have occurred “from something as simple as a sneeze.” After viewing footage of the take down by deputies, Associate Medical Examiner Dr. Selly Strauch Rivers ruled Jackson’s death a homicide, due to blunt impact to the head. Rivers said the mistake over medications was a contributing factor. The State Attorney’s Office later declined to press charges against Page or McKanstry, who during the take-down suffered a fracture that required surgery and five steel screws to repair. The Sheriff’s Office, likewise, determined the use of force to be justified. Smith, who came to help subdue Jackson, led the investigation. About 20 years ago, a federal law sought to shed light on the rising number of prison deaths across the country and, perhaps, the patterns behind them. But little happened. And nothing has happened since 2014, when U.S. Rep. Bobby Scott, D-Va., once again pushed through a law requiring the Department of Justice to maintain records of in-custody deaths. Last year, four members of Congress asked U.S. Attorney General Jeff Sessions for an update on in-custody death data. Agencies must submit a one-page report every time someone dies in custody, with basic information, such as name, race/ethnicity, date of birth and date of death, as well as a brief description of the cause of death. The legislation penalizes any agency that fails to report deaths by withholding up to 10 percent of funding under a federal grants program. But the DOJ has yet to even issue the form they’ll have to fill out. Last month, it said it would have a public review period until Aug. 8, use that information to adjust the online form and then begin collecting reports. U.S. Rep. Bobby Scott has twice authored legislation to keep data on in-custody deaths. "It has been excruciating trying to get people to comply with the law," he said. Col. Michael Perotti took over Hillsborough County’s jail operations in January 2017, about a month before Jackson’s death. Col. Michael Perotti took over Hillsborough County’s jail operations about a year and a half ago. Perotti acknowledged the “hoops” an inmate’s family must jump through to access medical records once an inmate is unable to make his or her own decisions. The task of helping families, he said, falls with Tampa General’s chaplains, palliative care staff and risk management team. When the Sheriff’s Office does reach out to family, it’s often with varying degrees of detail, Perotti said. That’s based on whether the inmate has authorized disclosure. “For me, it’s less about who is making that call as it is about making sure that someone is trying to make that call,” he said. The Sheriff’s Office came under scrutiny in 2008 after surveillance footage captured a deputy dumping inmate Brian Sterner from his wheelchair. In July 2013, the agency parted ways with long-time medical provider Armor Correctional Health Services after paying $800,000 to settle a wrongful death claim by the children of Allen Hicks, a popular youth baseball coach. Hicks had lain on a cell floor for 36 hours before being diagnosed with a severe stroke and later died at Tampa General. The agency signed a $20 million, five-year contract with Naphcare, based in Birmingham, Ala., in 2014, Perotti said. Perotti, the third colonel to oversee the jails since 2008, said his first order of business was to focus on preventative medical care that begins during booking. An arresting officer is required to fill out a one-page checklist detailing any use of force during the arrest, whether the inmate could be a suicide risk and providing an initial medical history. Trained EMTs hired by Naphcare then order existing medical records and conduct an assessment. If an inmate’s condition is “rapidly deteriorating,” the arresting officer has to transport that person to the department’s hospital facility at Falkenburg Road Jail or to Tampa General. Under the state Department of Law Enforcement standards, detention facilities are required to conduct a medical assessment within 14 days of incarceration. Because county jails often see a “revolving door” of inmates - the average stay is about 20 days - many medical companies delay treatments as long as possible to cut costs, in hopes the inmate will bond out or move to a different facility before the law requires them to act, Perotti said. Hillsborough County spends an average of $23 million a year on inmate medical care, Perotti said. That’s about 6 percent of the agency’s budget, which is completely funded by taxpayers. If an inmate doesn’t have health insurance, which is usually the case, the Sheriff’s Office has to foot the bill for medications or emergency hospitalizations, Perotti said, though it receives some reimbursements for inmates facing federal charges. Staff are currently treating 15 inmates who are pregnant and others in the advanced stages of cancer, he said. About a third of the inmates are on psychotropic medications, and the Falkenburg clinic is treating three inmates who require a blood-thinning medication that costs $1,500 a week, Perotti said. “It’s a massive undertaking, because I don’t get to incarcerate that portion of society that takes care of themselves,” Perotti said. When it comes to her brother’s death, Valarie Schlosser knows what the Sheriff’s Office could have done better. Someone could have gone through Jackson’s arrest reports and found another relative. They could have called when Jackson was diagnosed with a brain bleed that might kill him. They could have been honest about what led to his death instead of providing conflicting stories and not make them pay $400 for public records. Much of what they’ve learned came from the Times. After he died, they could have given his possessions - a plastic garbage bag of “miscellaneous papers” - to his family. And when they found drawings of Bible verses stashed in his cell, deputies could have called to say that Jackson had maintained his faith. That he remembered that his name was drawn from the Book of Genesis: And afterward came out his brother, that had the scarlet thread on his hand: and his name was called Zarah. The Tampa Bay Times searched hundreds of pages of arrest records, hospital records, medical examiner files, news stories and lawsuits to identify inmates who died while in the custody of the Hillsborough County Sheriff’s Office from Jan. 1, 2008 to July 1, 2018. The Times interviewed jail staff, legislators, lawyers and relatives of 13 inmates who died over the past three years and reviewed HCSO standard procedures and training materials. To report on Zarah Jackson’s death, the Times obtained Tampa General Hospital and Naphcare records, conferred with lawyers who reviewed his case and looked over arrest reports since 2005, incident records and psychiatric evaluations.